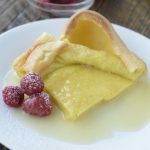 German Pancakes with Buttermilk Syrup is our most requested birthday breakfast and special occasion breakfast at our house. 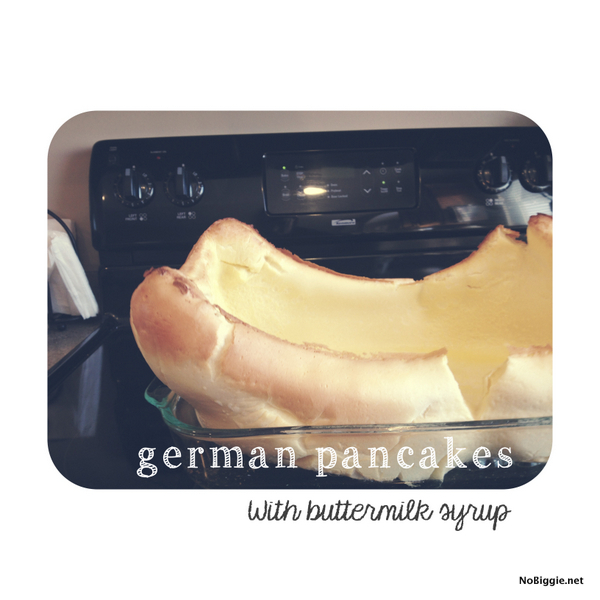 German pancakes with buttermilk syrup is one of my family’s most favorite breakfasts. I usually make it for breakfast on Christmas morning and we serve it with bacon and fresh fruit. 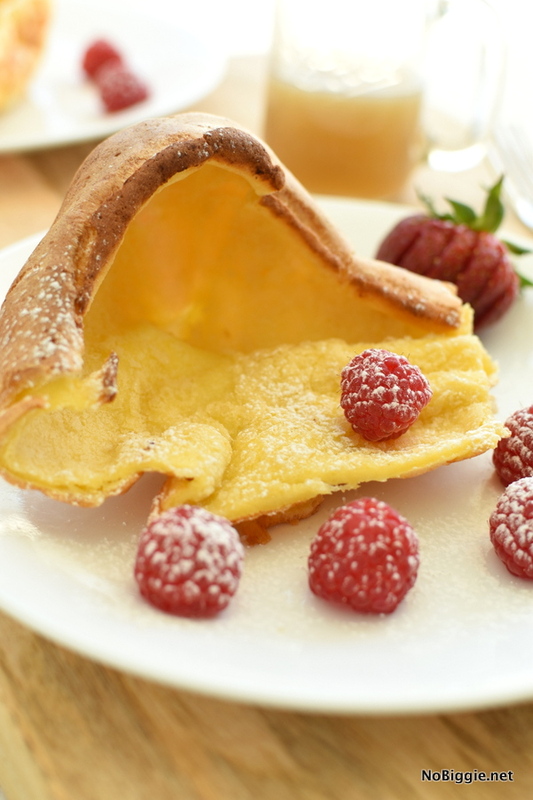 Whether you call them puffed pancakes, dutch babies, oven pancakes, “hootenannies” or German pancakes, they really so good! They make a great breakfast to feed a crowd all at once. 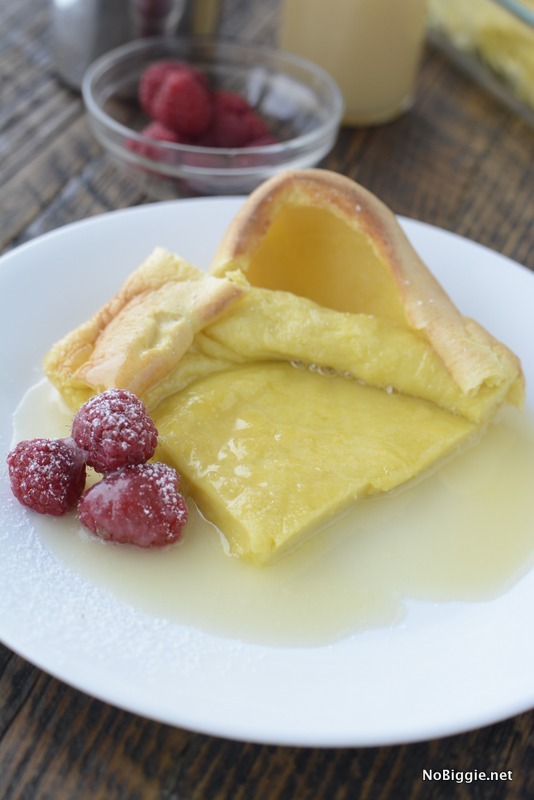 To make our favorite German pancakes a little more special, we always make homemade buttermilk syrup to go with. This syrup is the best! The syrup will keep in the fridge for a couple of weeks and freezes great too. I usually quadruple the recipe to make extra…some to keep, some to give and some to freeze. 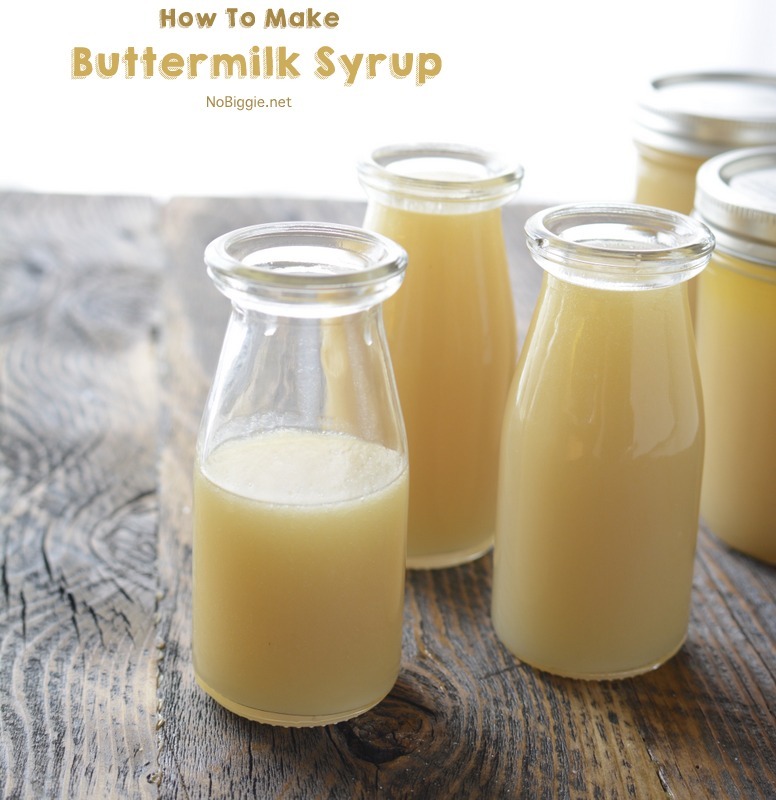 We made a little video to show just how easy it is to make buttermilk syrup at home. It makes a great food gift to give to family and friends. 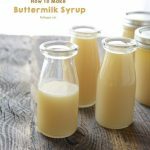 If you pick up a quart of buttermilk at the store, you’ll use the whole thing when you quadruple this syrup recipe. I’m always so glad when I do, it’s nice to be able to have it when I need it and just pull it out of the freezer on a busy morning. There’s a trick to getting your German pancakes really BIG and puffy… THE TRICK: place your baking dish in the oven as your oven preheats to temperature. We all love to see how tall the German pancakes get when it’s time to take it out of the oven. It quickly deflates as the hot air escapes, but if you poke some holes into the edges, you can keep the height. Preheat your oven to 400 degrees...*WITH your baking pan in the oven. This is THE key to big rising german pancakes. Blend until smooth the eggs, milk, flour and salt. Put the butter into the un-greased 9x13 baking dish, the butter will melt with the heat of the dish. As the butter melts move it all around the pan to help grease the pan. Pour the blended pancake batter into the hot dish. Bake uncovered for 20 minutes at 400 degrees. Remove from oven and poke holes into the edges to release the hot air. 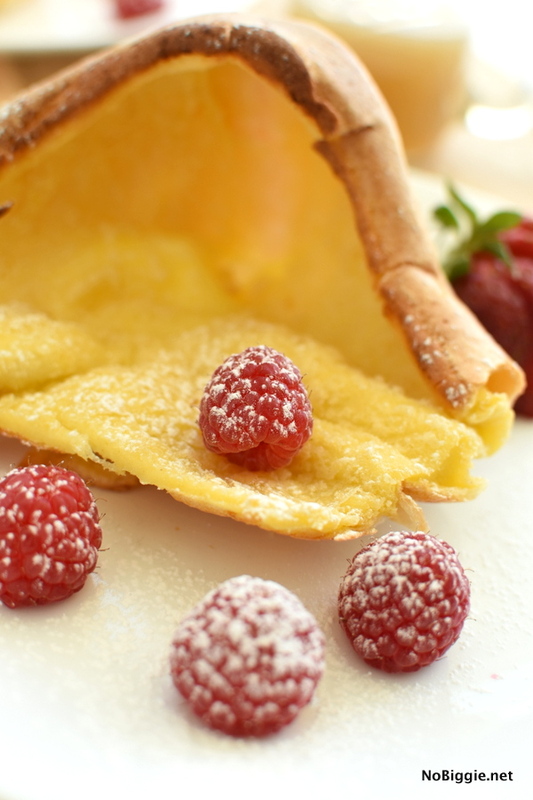 Serve warm with buttermilk syrup, fresh berries and a sprinkle of powdered sugar. In a large pot, bring to a boil the first four ingredients: buttermilk, sugar, butter, and corn syrup. Stirring constantly over medium high heat until well combined. Remove from heat. Add in the baking soda. The Baking soda will have a chemical reaction with the buttermilk, and it will bubble up big. Having it off the heat and stirring constantly will help it not boil over. Finish by stirring in the vanilla. Let the bubble deflate and give it a few stirs before serving. Serve warm over german pancakes or anything else you love syrup on. *This recipe was quadrupled in the video featured on this post. There you have it! Oooh they’re so good! I’d love to know what you have for breakfast with your family on Christmas Morning. I’d love to find a great recipe for one of those sausage souffles (aka breakfast casserole). Do you have a good one?